Universal Newsline - Business, Lifestyle, Entertainment : Abhishek Kumar's Amaze Jewels to venture into retail market by launching a new brand in Lokhandwala. Abhishek Kumar's Amaze Jewels to venture into retail market by launching a new brand in Lokhandwala. AMAZE, a brand which has already amazed its customers with their vivacious creations. Abhishek Kumar, a Chartered Accountant by profession along with his wife Dr. Varsha an orthodontist are the founder directors of “Amaze’. In spite of coming from a non Jewellery background, they dared to break the rules and create a different image of Diamond Jewellery in front of the World. Brand Amaze was formed in the year 2011, Amaze deals in better designs, supreme quality and prompt services to its customers, all this things are USPs of the brand. So, with growing business and goodwill, Abhishek Kumar decided to venture into the retail market by launching a new brand"amaze jewls"
“Life is made of emotions and emotions are what our jewels bring to you when you wear them. More than just Jewellery, we offer pieces that are precious for the emotional values they possess, transporting our vision and lifestyle and all our love and passion to the lives of our clients.” says Abhishek. For Amaze Brand Consumer is the king. They offer the most exquisite craftsmanship works of art in which is 100% Hallmarked Jewellery with Certification of Diamonds too. “At Amaze Jewels, you won’t simply buy a jewel; you will feel the seduction of our art. You will be seduced by it, and you will seduce whoever follows you”, admits Abhishek. Today’s competitive market is surviving only on innovations & creativity. These factors make or break a brand. And Amaze Brand invest heavily in this aspect. Talented, experienced designers are associated with Amaze who creates amazing Jewellery designs day after day! A fully functional, state of the art manufacturing unit is responsible for the impeccable quality that they provide. 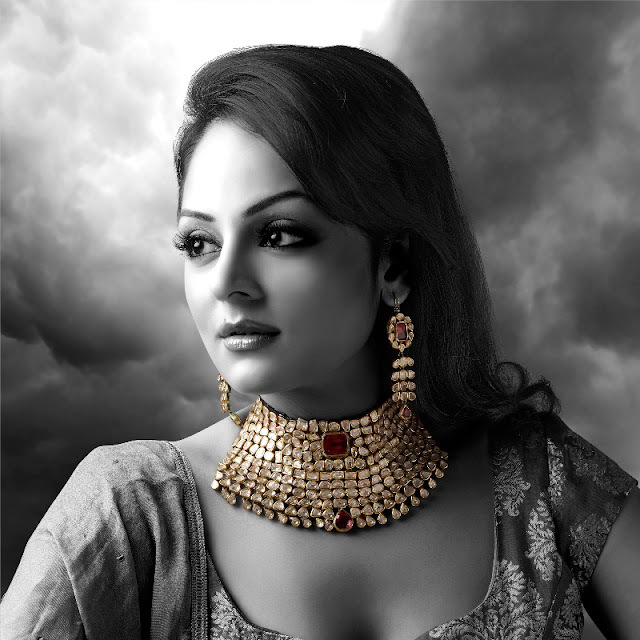 “Abhishek further says, “The dazzle of jewelry is something that no woman can avoid. The sheer pleasure of owning a piece of exquisitely crafted jewellery that is the envy of others cannot be described in words. Therefore, we at Amaze focus at designing high end jewellery. They aim to open Amaze Jewels chain of retail showrooms throughout the country. They are also slowly making their mark in the glamorous Bollywood & Television Industry. After amazing the audience in India, they will be very soon looking into setting their best foot overseas & making ‘Amaze Jewels’ a brand that will be globally renowned.